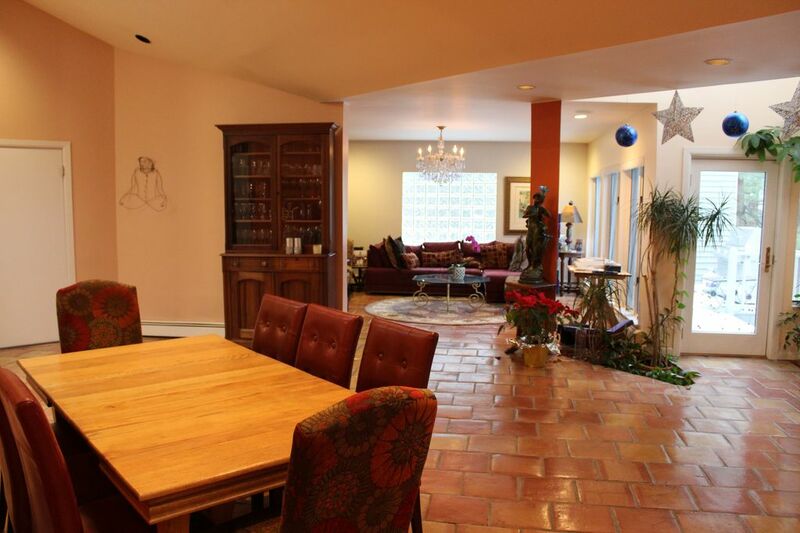 Well maintained house with 4,000 square feet of sun-drenched living space. Cathedral ceilings, Open floor plan on main floor includes an expansive kitchen with center island that seats 4, 6-burner cooktop and double oven; adjacent eating area, spacious living areas with sunken living room and 2 dens; large master suite on first floor with shower, 2-person Jacuzzi tub, double sinks; 2 additional bathrooms, one full bath and one half bath, on first floor. 3 additional bedrooms, bath and den on 2nd floor. Comfortable family house. The house is located on 3/4 acre on a quiet cul-de-sac, only a 30 minute train ride to the center of New York City. 3 televisions including 55 inch HD smart TV, 40 inch HD smart TV, 19 inch HD TV.